You might say these'll put a *spring* in your step. 1. A pair of flatform wingtips with a surprisingly lightweight sole so you can freely skip through the daffodils. Get them from Amazon for $19.99+ (available in sizes 5–9 and four colors). 2. Vegan suede T-strap flats that'll go with basically everything in your closet — to a *T*. So much so, you just might have to stock up on every color. Get them from ModCloth for $45 (available in sizes 6–11, regular and wide, and eight colors, patterns, and fabrics). 3. Minnetonka moccs crafted in a super pliable suede that'll stretch to fit your feet comfortably — aka the end of sock season does NOT mean the beginning of blister season. Get them from Amazon for $20.49+ (available in sizes 5–11 and 29 colors). 4. A pair of caged ankle booties for when you want to try out the western trend, but need to feel the breeze on your feet. Reviewers note to order a half size down! Get them from Forever 21 for $34.90 (available in sizes 5.5–10). 5. 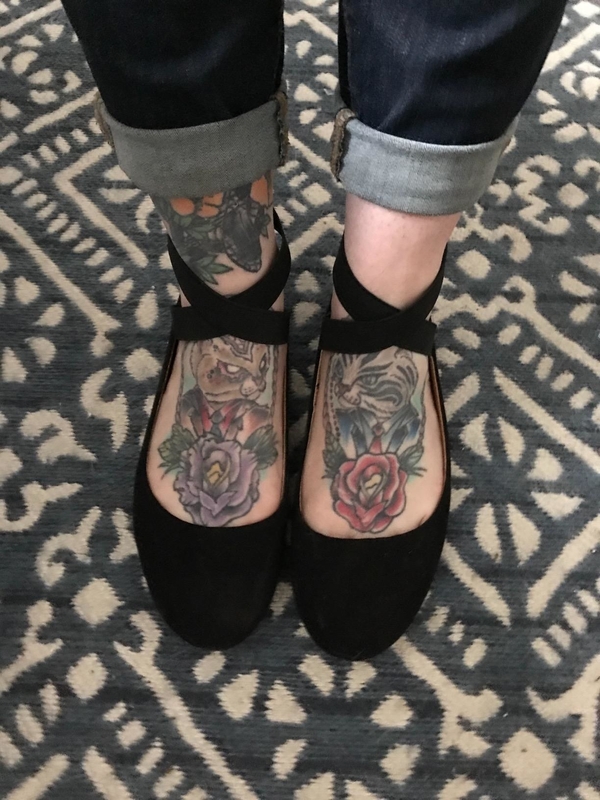 A pair of budget-friendly ballet flats with elastic wrapping around the ankle for a double whammy of 1. extra ballerina pizzaz and 2. security so these bbs never slip off accidentally. Get them from Amazon for $10+ (available in sizes 5.5–11 and 33 colors). Check out a BuzzFeed writer's review of these flats for all the deets! 6. A pair of colorful Birkenstocks you can wear — dare I say it? — with socks before it gets sweltering out. Get them from Nordstrom for $39.95 (available in sizes 5–10.5 and seven colors). 7. A pair of rain "boots" masquerading as high-top sneakers so you can jump joyously into puddles without feeling like you're stuck in dreary winter. They're available in low-top sneaks too if you're not worried about ankle coverage. Get them from Amazon for $14.99+ (available in sizes 6–11 and 13 colors and syles). 8. Perforated, peep-toe booties for the ideal transition item to unite your winter and spring wardrobes — and to let your piggies feel the breeze. Get them from Walmart for $38 (available in sizes 5–12 and three colors). 9. Slip-on knit sneaks that'll let you be ~flexible~ enough to stay comfy *and* stylish at the same time. Miracles happen, once in a while. Get them from Amazon for $16.99+ (available in sizes 4.5–11 and 23 colors and styles, both with and without laces). 10. A pair of wide-fit, mid-height heels made in a textured faux croc to make you feel ferociously cute. Get them from Asos for $48 (available in sizes 5–11). 11. Classic, lightweight Oxfords for an alternative to your boring and worn-out flats. And these are *so* versatile; you can wear with jeans, dress pants, and the flowiest of summer dresses. Get them from Amazon for $25.99+ (available in sizes 6–10 and five colors). 12. Chunky Fila Disruptor 2 sneakers so you can walk tall and oh-so trendy just by adding these to your closet. And with the no-slip treading and cushy insoles, you'll feel like you're walking on a very secure cloud. Btw, reviewers suggest to order a half size up. 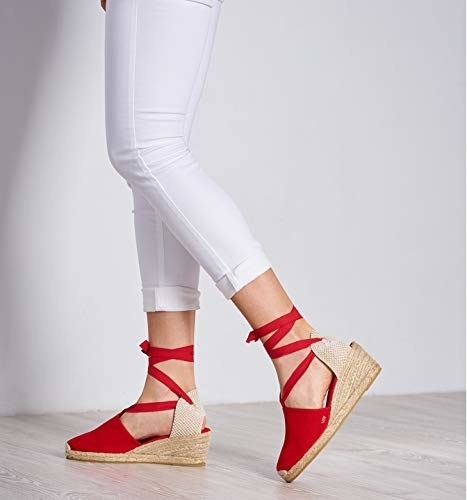 Get them from Urban Outfitters for $65 (available in sizes 5–10 and in white with red and blue detailing). 13. 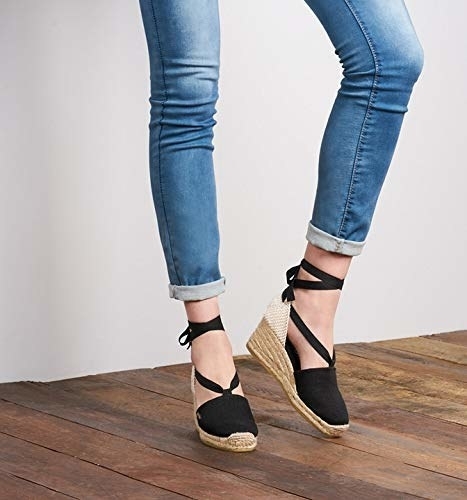 A pair of wedge espadrilles for a comfortable and secure high-heel option even the clumsiest of walkers (🙋‍♀️) can feel confident strutting their stuff in. They're ~handmade~ in Spain — fancy! Get them from Amazon for $74.95+ (available in sizes 5–11 and 22 colors and fabrics). 14. A pair of metallic penny loafers, because the sun is *finally* shining, and your shoes should ~reflect~ that...literally. They're also available in four other non-metallic colors, listed separately. Get them from J. Crew for $158 (available in sizes 5–12). 15. Grid-print d'orsay flats you can fold up and keep in your desk or purse and switch from cold weather shoes to these babies as the day warms up. Get them from Amazon for $9.99+ (available in sizes 7–9.5 and three styles). 16. 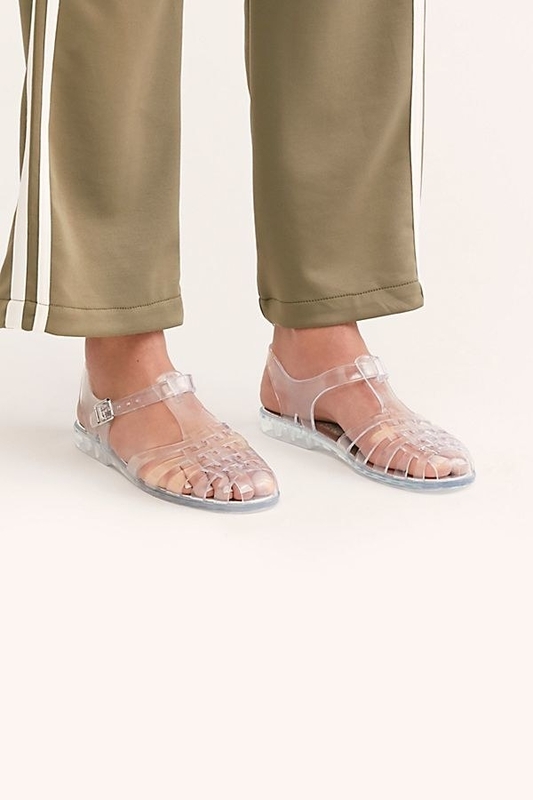 Jeffrey Campbell jellies that'll bring you right back to your younger days. Get ready to head to your nearest swing set to enjoy the almost-summer breeze. 17. Tassel-topped mules so you can add a little flutter to every step you take. Heading out the door is as easy as sliding these babies on. Get them from Amazon for $32.33 (available in sizes 5.5–10 and six colors and patterns). 18. A pair of wide-fit crochet slip-ons for a springy, breezy addition to your year-around all black outfits. Talk about a twist on the word shoe~lace~. Get them from Torrid for $39.67 (available in sizes 7.5–13). 19. 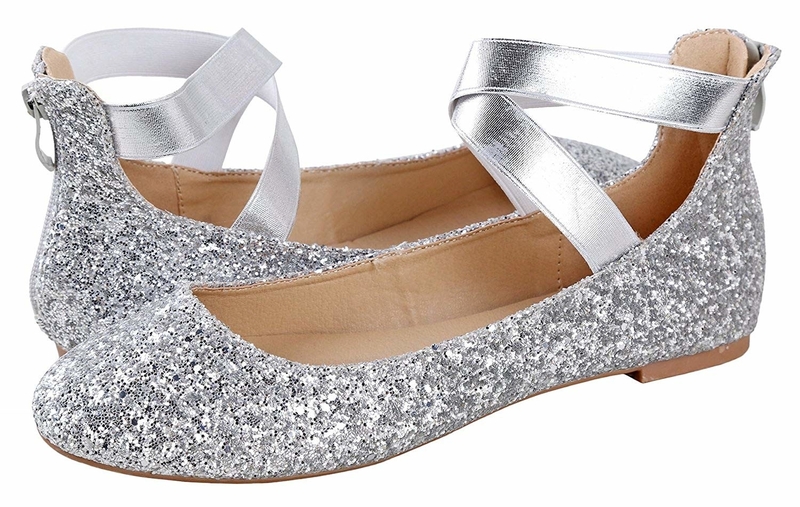 Retro-inspired metallic heels you can comfortably wear to every spring and summer wedding you have coming up. Sigh. Get them from Amazon for $19.99+ (available in sizes 5–11 and 13 colors). 20. Ruffle-strap flats for a running-out-the-door, throw-on shoe that's still on ~point~. I have these in black and they're v comfy! Get them from Shop Miim for $59 (available in sizes 6–10 and three colors). 21. Pearl-embellished espadrille flats so you can *weave* together the perfect "omg it finally hit 70°!" ensemble. Get them from Amazon for $30.99 (available in sizes 5–10 and four colors and styles). 22. A pair of incredibly lightweight mesh-knit Allbirds perfect for matching the newly-sprouting foliage appearing on all your favorite trees. Are those my allergies, or am I tearing up? I have the wool runners and the high-tops and they are both SO COMFY — if you don't have a pair, you're majorly missing out. Get them from Allbirds for $95 (available in sizes 5–10 and nine colors). Psst! The wool runners won best mid-price casual sneakers on BuzzFeed Reviews! 23. Floral-embroidered pumps even Miranda Priestly herself would approve of. And the pointy toe and low block heel make them basically the perfect (and walkable) shoes. 24. Vintagey v-front heels that might get you talking in "v" alliterations all day. "Would you like to go view the vernal valley with me?" 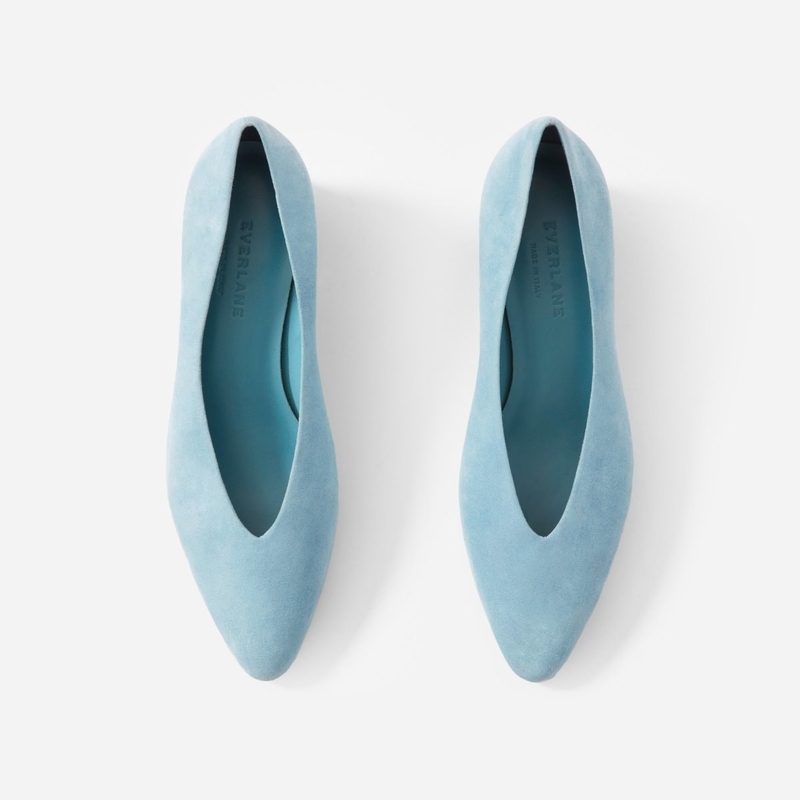 Get them from Everlane for $111 (originally $155; available in sizes 5–11 and four colors). 25. 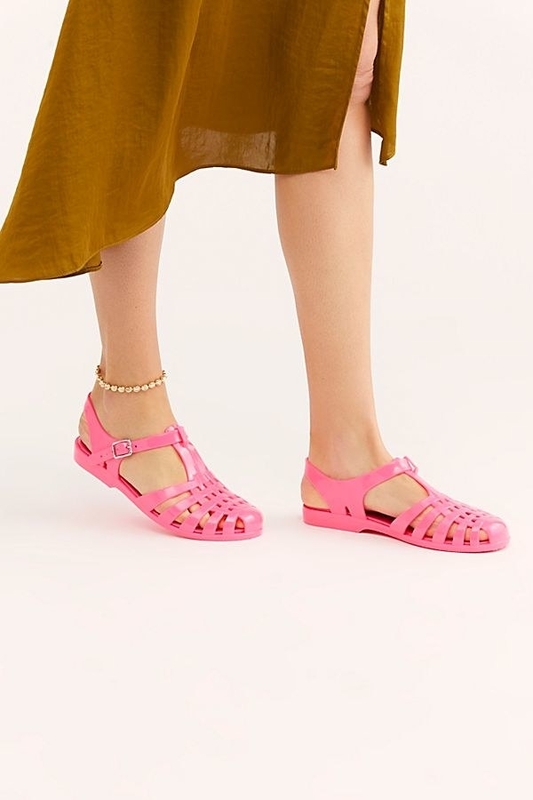 Surprisingly inexpensive ankle-strap sandals with pearls in the heels so you can truly ~step up~ your warm weather outfits. Get them from Amazon for $29.99 (available in sizes 6–11 and seven colors). 26. Peep-toe, lace up bootie sandals in the perfect grey snake print for an inexpensive and easy way to let this trend ~slither~ into your wardrobe. Get them from H&M for $29.99 (available in sizes 4.5–10 and in black). 27. Cut-out block heels for all the look of a classic shoe without making your feet sweat so dang much. Get them from Amazon for $9.99+ (available in sizes 5.5–10.5 and four colors). 28. A pair of colorful rhinestone-studded Keds, because why should jewelry have all the fun? Get them from Bando for $65 (available in sizes 5–11). 29. High-heel wingtip Oxfords to really take your elegant style to new *heights*. And they come in a cream color for a '20s-inspired way to try out the white shoe trend that's hot this spring! Get them from Amazon for $23.99+ (available in sizes 4.5–10.5 and three colors). 30. Mustard-colored slingbacks that'll be the perfect condiment on your outfit sandwich. Get them from Mango for $59.99 (available in sizes 5–10 and in black). 31. A pair of Gladiator-inspired sandals with EVA foam footbeds to keep your feet cushioned and happy no matter how far you roam. Traveling this spring? These deserve a place in your suitcase. Get them from Amazon for $64.07+ (available in sizes 5–12 and six colors). Promising review: "I have suffered with large flat feet my entire life. No matter what kind of shoes I've tried (many very expensive) my feet would ultimately be in pain and forget long distances. These shoes are a miracle! Not only are the really stylish, but they have arch supports, come in wide sizes and have non-slip bottoms! I love them so much I've purchased four pairs! They are like walking on air. This last week we were on vacation and tracked just under 30,000 steps on my Fitbit in one afternoon sightseeing, and my feet didn't feel a thing! Wonderful shoe!!!! So excited !" —Barb L.
32. A pair of block-heeled sandals so you can tower over everyone without teetering on precariously thin stilettos. Get them from Topshop for $100 (available in sizes 4.5–11.5). Get them from Amazon for $26.99+ (available in sizes 5–10 and three colors). Or looking for clothes? Check out our favorite online clothing stores for all your shopping needs, plus the best places to buy used clothing online and the best clothing stores for petite sizes. Still not satisfied? Check out all of our clothing content for even more.